Corn is a high-energy feed that contains a lot of carbohydrate. According to the University of Arkansas, it is one of the commonly used grains for supplying energy to beef cattle diets. 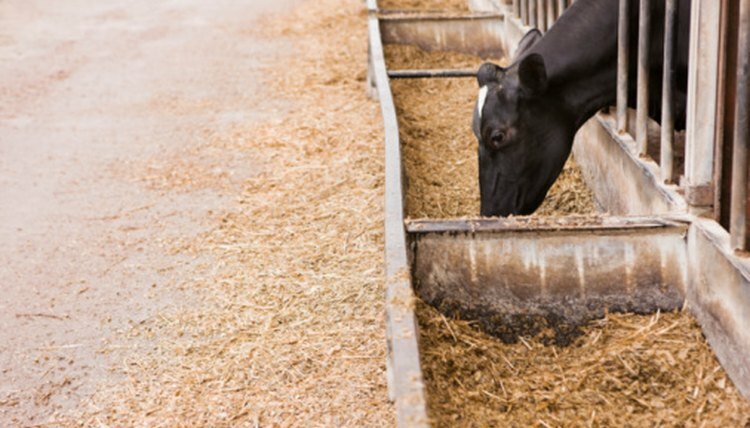 Rolled corn and cracked corn are both fed to livestock in the same manner, but because they are processed in different ways they differ somewhat in their nutrient content and digestibility. Cracked corn is produced by running the grain through a roller mill. The very fine material is screened, leaving larger corn particles. The seed coat is opened allowing increased access to the interior starch that results in improved energy availability. Cracked corn is also referred to as corn chops. The full name for rolled corn is steam-rolled or steam-crimped corn. Steam-rolled corn is prepared with a roller mill similar to the one used to produce cracked corn. Prior to the rolling process, however, the corn flows slowly through a steam cabinet that uses moisture and heat to soften the corn kernels before they are rolled. This process improves cattle digestibility, resulting in an 8-10 percent increase in animal performance compared to whole kernel corn. Cracked corn has not shown a consistent increase in animal performance over whole kernel corn. According to the University of Arkansas, cracked and steam-rolled corn mix better with small amounts of other ingredients in feed rations. When whole corn is mixed with ingredients such as soybean meal, mineral and vitamin premixes, an uneven blend results because of the large corn kernels. A disadvantage of cracked and steam-rolled corn is that they increase feed ration cost. Regardless of the whole corn price, cracked corn is usually about $5 a ton higher and steam-rolled corn is $5 to $12 more per ton. Ashley Griffin of the University of Kentucky writes that whole-corn kernels pass through a horse without being digested. She prefers cracked corn over whole corn because cracked corn better absorbs the horse's digestive juices, increasing digestibility. Steamed-rolled corn is even better for a horse because it has more surface area to absorb the digestive juices. This increases digestibility even further.